Proper evaluation of a job’s value (worth) must relate the identified tasks, duties, skill and knowledge requirements, which were gleaned from the job/task analysis, with the qualifications for a successful job performance. Without the proper job data, you cannot properly determine a position’s value. Speaking of job worth, without valid and specific job data, pay rates cannot be established without a valid job evaluation process. Rates may be suggested in some cases, but this careless thinking simply results in high personnel turnover. You wouldn’t like to lose your best workers because they felt they weren’t properly compensated. 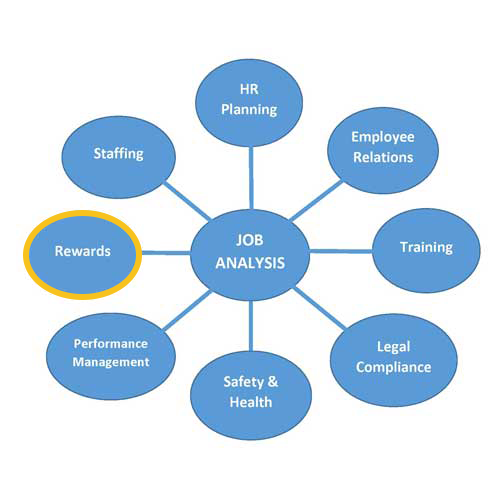 The status of each job (exempt/non-exempt) can only be determined through job analysis. Extrinsic rewards are tangible factors- something given as recognition of good work, like a pay raise, promotion, or award. Intrinsic rewards are the intangibles- the personal satisfaction a person feels when they do a good job, pride in your own performance and a sense of achievement. If you want to increase your employee’s motivation, the best way is by rewarding and recognizing your employees and their contribution to the organization. Rewarding employees also improves morale and makes employees feel valuable. After all, what’s your companies’ best asset? Your people! Contact Bill Salter today at wsalter@techtransfer.com and learn how we can help your organization!